The most recent version of the IZIP E3 Path+ came out in 2016 and features a mid-drive motor from Shimano STePs instead of a gearless direct drive hub, this makes the frame more balanced front to rear and offers better efficiency and range by leveraging the cassette, the price also dropped. 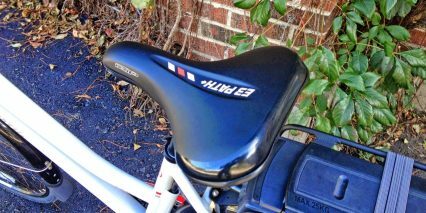 The latest review is posted here. 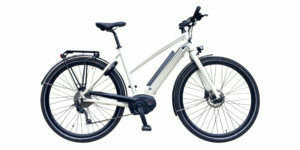 The second generation E3 Path+ launched in 2014 and was well received because it offered a larger motor and improved frame design over the original 2013 version. 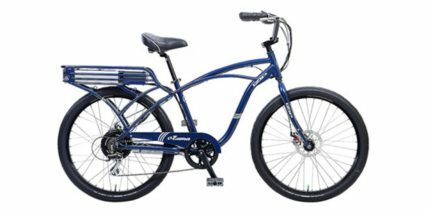 The bike was relatively comfortable and efficient to ride with fenders, cruise control and a rear carry rack that had built in bungee cords for securing cargo. 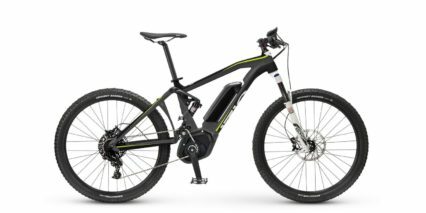 It also offered a solid warranty with industry leading support from Currie Technologies that has one of the largest networks of dealers in the US. 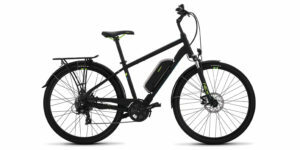 These benefits remain true with the updated second generation version for 2015 shown in this review and it improves on the original in several key ways. 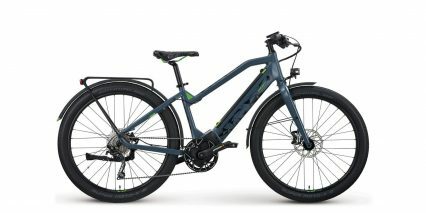 Those improvements include a sturdier display panel, sleeker control pad that’s easier to reach, more comfortable handlebars that still sweep back but aren’t as wide as before and an improved extra-wide saddle. 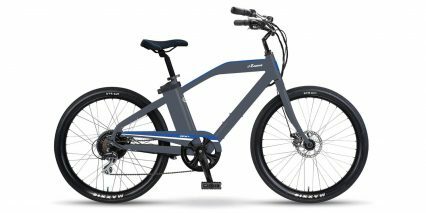 It’s an ebike that performs best on paved streets and sidewalks in city and neighborhood environments and really blends in as a traditional bicycle. 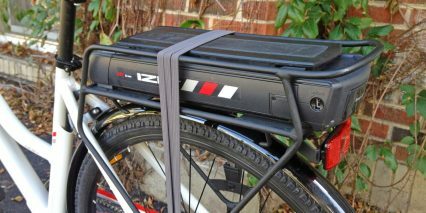 This is especially true if you add panniers on the back to hide the battery. 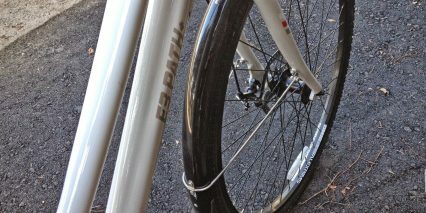 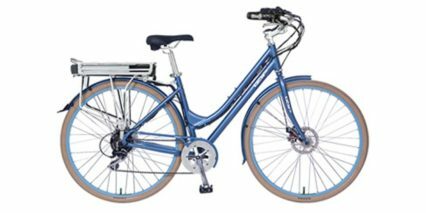 The narrower tires and large 700c (~28.5″) wheels offer excellent efficiency but a bit less comfort than the IZIP Zuma Cruiser while beating it in terms of utility with its fenders and rear rack setup. 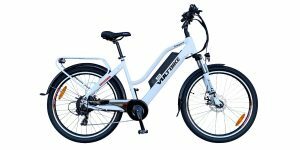 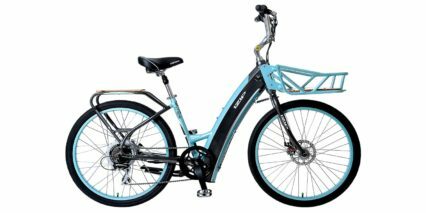 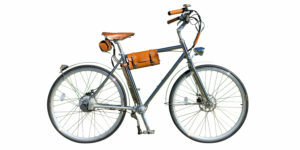 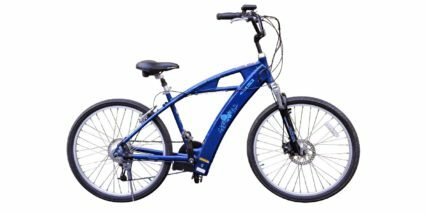 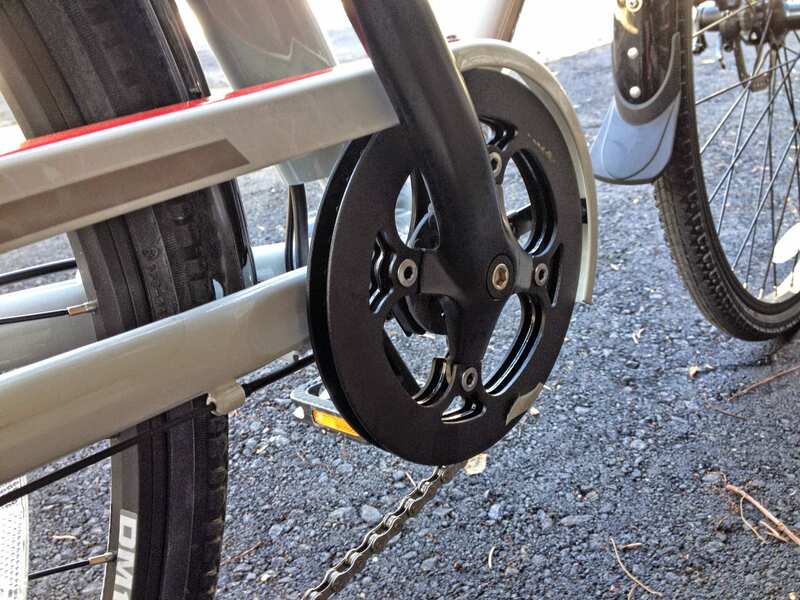 Driving this electric bike is a powerful 500 watt gearless direct drive hub motor located in the rear wheel. 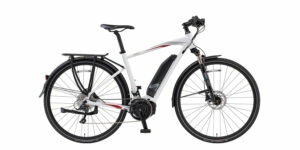 It’s powerful, fast and extremely quiet to operate but doesn’t offer regeneration modes as some other models do. 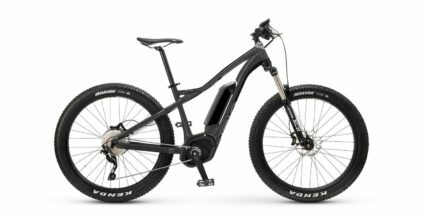 I’m a bit torn on this because I realize regenerative braking systems add complexity and expense without much improvement in range but they do limit hand fatigue and wear on brake pads, especially when coasting down large hills. One highlight here is that both the front and rear wheels feature quick release which makes changing flats and servicing rims and spokes much easier. 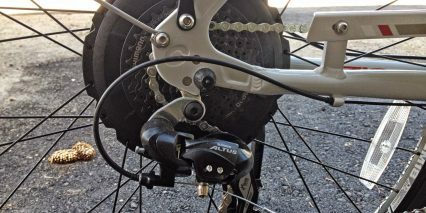 The power cable that connects the motor to the control system has its own little quick release point just below the left chain stay. 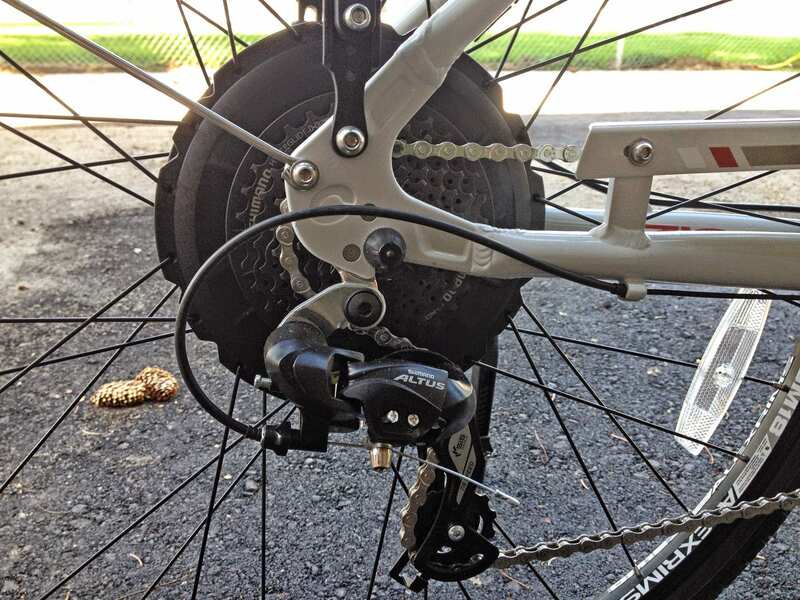 One downside that most gearless direct drive motors suffer from, including the Dash, is cogging. 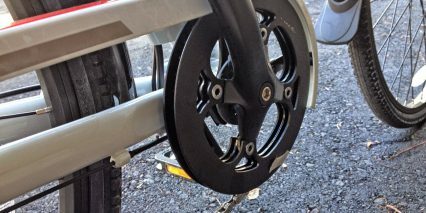 This happens when the permanent magnets lining the outside of the hub motor repel the electromagnet stators when the system is not operating under power (this is demonstrated in the video review above). 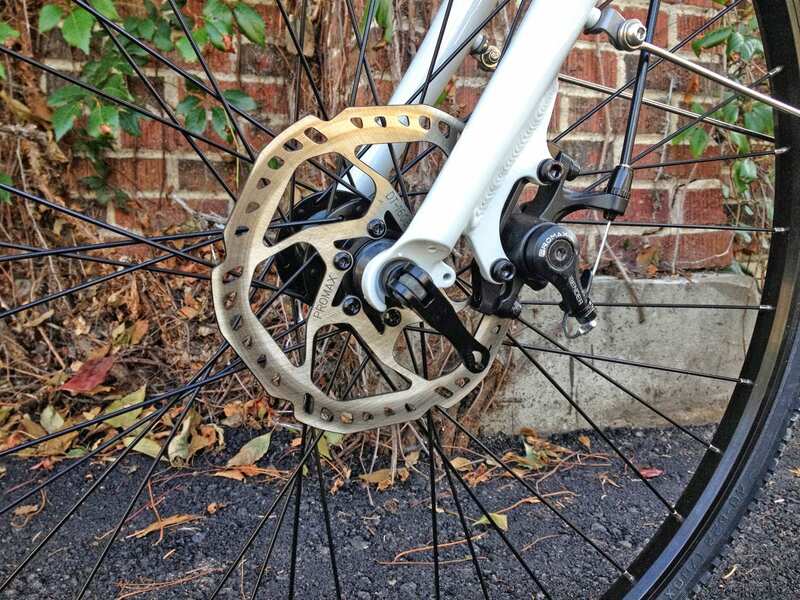 Still, gearless hub motors are known for being reliable because they contain fewer moving parts than geared motors. 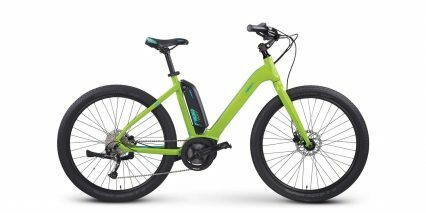 For this third generation of Path+ ebikes IZIP made some improvements in the glue and hardware used to build the motor after several bikes had issues in 2014. 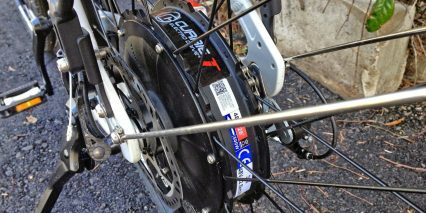 These bikes were all serviced under warranty and Currie Technologies acknowledged the problem which was great. 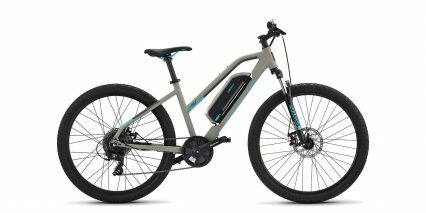 The battery powering the 2015 IZIP E3 Path+ offers 48 volts of power with ~8.8 amp hours of capacity. 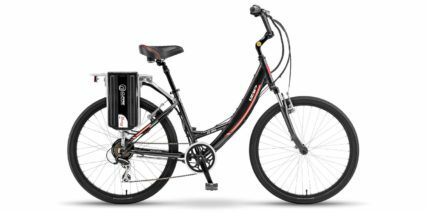 Many electric bike companies are switching to 48 volt systems like this because they deliver electricity more efficiently (extending range) and offer a zippier ride experience. 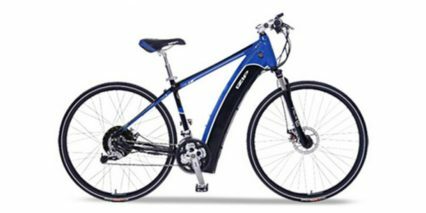 The actual cells used here are 18650 sized and contain a Lithium-ion chemistry which is known for being light weight and long lasting. 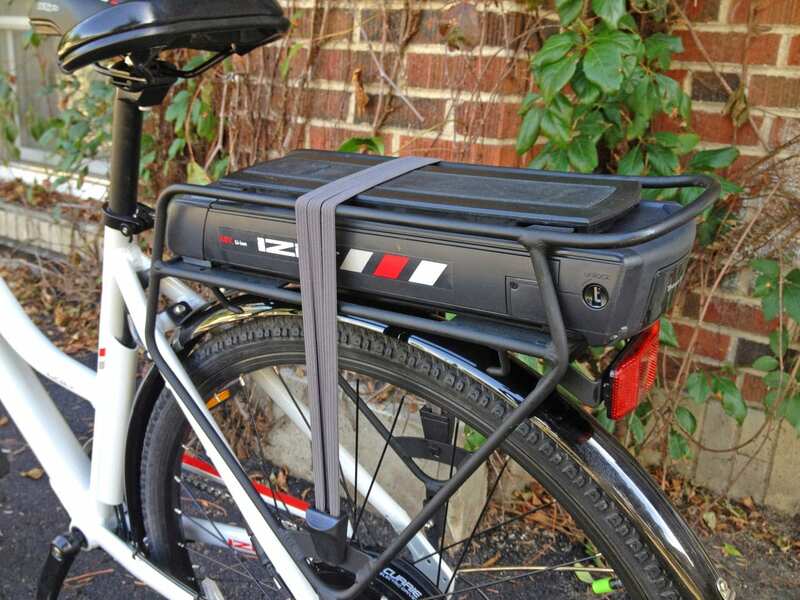 The pack itself locks to rear-rack when riding but can be charged on or off the bike. 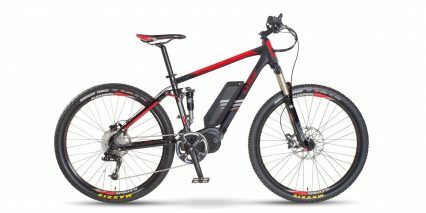 Having a removable battery like this is convenient for times when you need to transport the bike and want to reduce its weight or those times when you just need to top the battery off without bringing the entire frame inside. 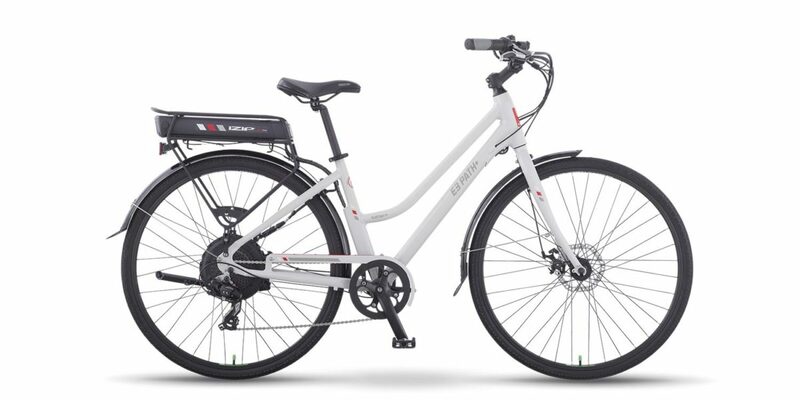 While the battery itself is great, its location higher up on the rear rack negatively impacts balance and contributes to a rear-heavy design due to the hub motor also being located towards the back. 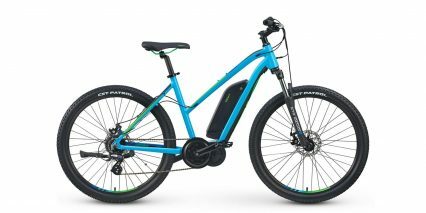 This isn’t the only ebike that’s setup this way and it rides well enough but isn’t as easy to lift over curbs, handle off-road or turn sharply at higher speeds. 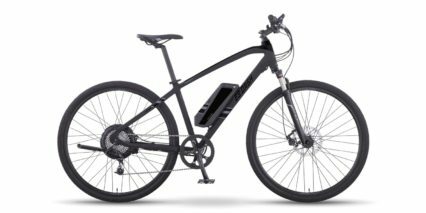 As far as range, you can expect at least 25 miles per charge all the way up to 45 if you rely on lower levels of pedal assist and help the system out. One of the big improvement areas on this third gen IZIP Path+ is the display panel which now mounts to the center of the handle bars with two arms instead of just one. 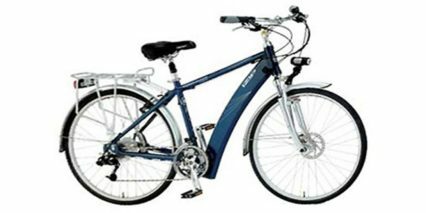 It feels very sturdy but can also easily be adjusted, swiveling forward and back, to reduce glare. 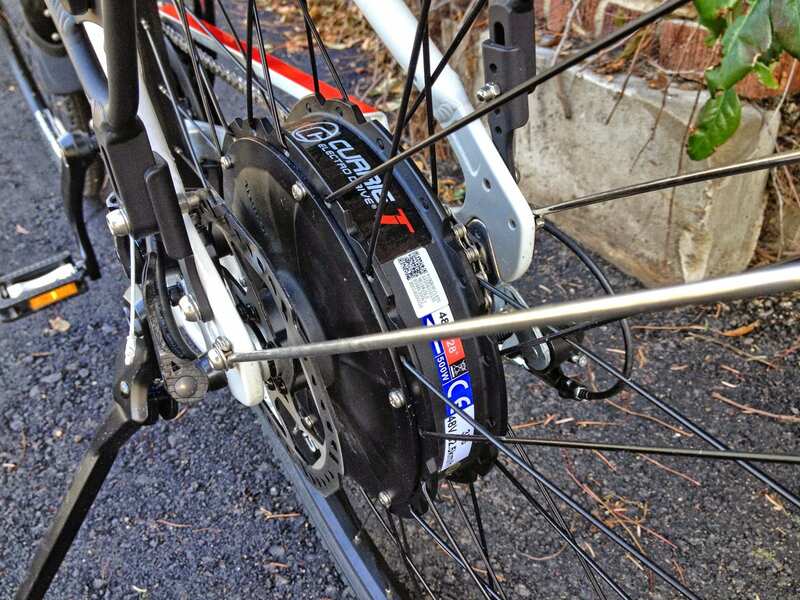 The display panel itself is not removable which is a bit of a drawback if you plan to store this outside frequently or in sketchier neighborhoods but as a result you may experience fewer connection issues that have to do with contact pads wearing out. 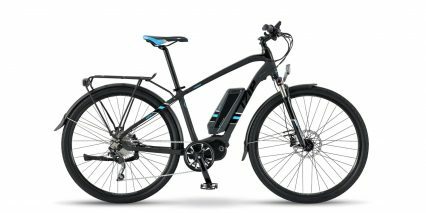 The display shows your remaining battery capacity, speed, pedal assist level or throttle mode indicator, distance traveled and range expected with the remaining battery level. 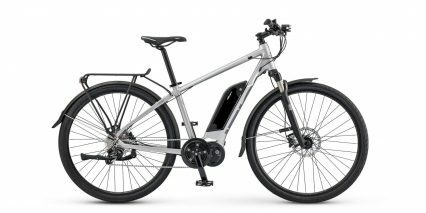 There’s also neat light sensor built right into the upper left corner of the display that activates backlighting for use at night. 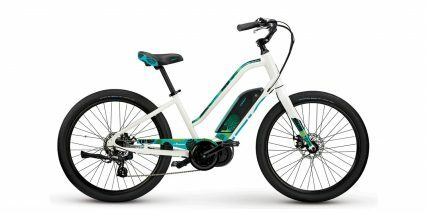 The display itself does not have any buttons built into it, instead there’s a nice little control pad that sits right up against the left grip and this has also been improved for 2015. 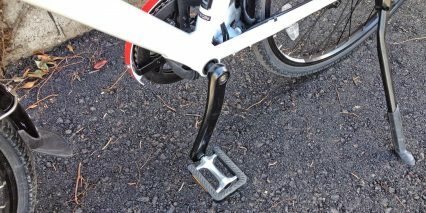 The new design is easier to reach than the old one and seems to be sealed against water and dust better thanks to a seamless rubberized coating. 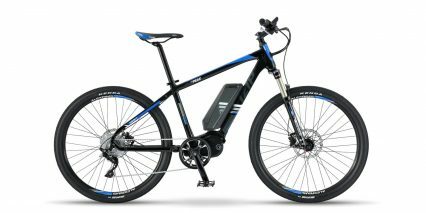 The pad lets you power on the bike, navigate through four levels of assist up to throttle mode and engage cruise control. 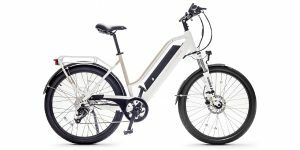 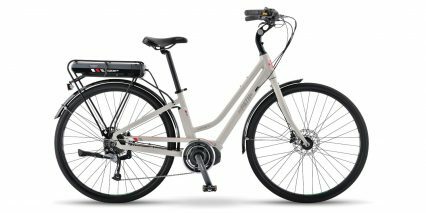 For people who are interested in a clean looking around-town type of bike that’s backed by a reputable company but not too expensive, the IZIP E3 Path+ is a solid choice. 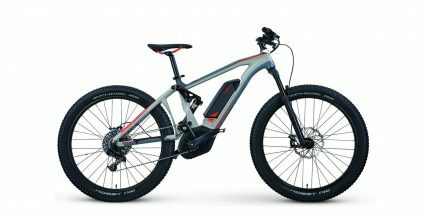 The new design is very similar to the second generation which was a big leap forward from the original. 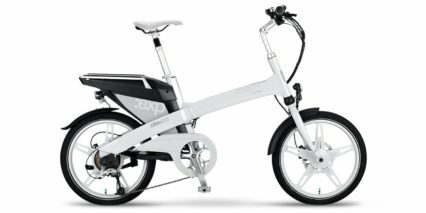 You can pay a bit extra for the lighting kit directly from IZIP or easily add your own and then this bike will be complete. 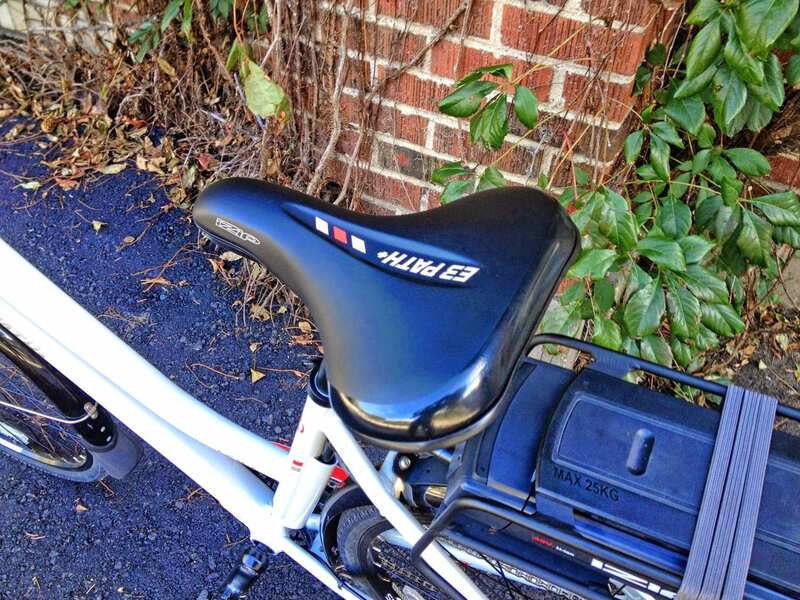 The bungee cords work well, the updated seat feels comfortable and I really like the kickstand they chose. 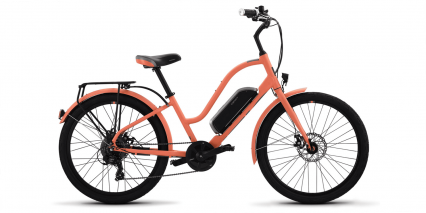 This is an electric bike you really don’t have to screw around with. 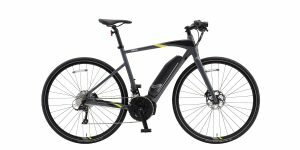 Even though it uses a cadence sensor instead of a speed and torque sensor like the E3 Dash, it feels very similar and motor activation isn’t jerky at all. 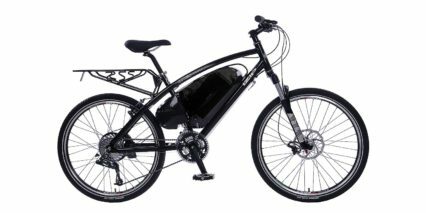 With eight speeds to choose from it’s easy to climb or accelerate on this bike and the 20mph top speed is just about right given the lack of suspension and the rear-heavy design. 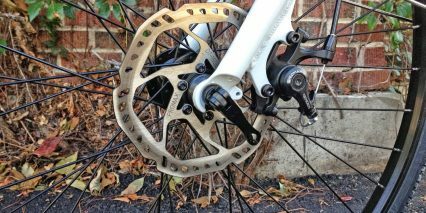 You get mechanical disc brakes vs. hydraulic but that’s fine for around town and the brake levers do cut power to the motor which is nice. 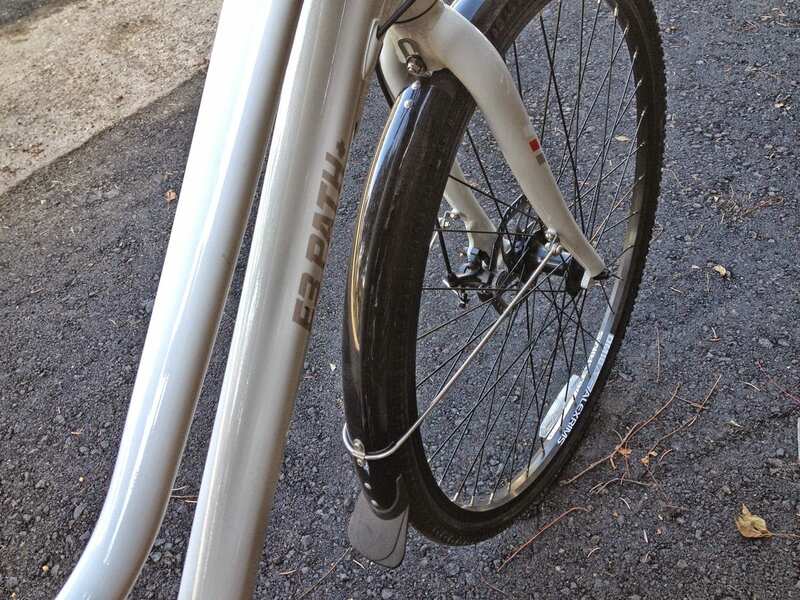 I was really impressed with the 2014 Path+ and this new version is a nice refinement. 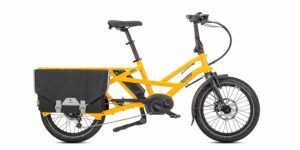 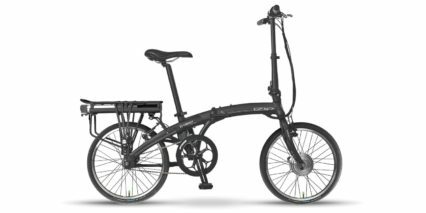 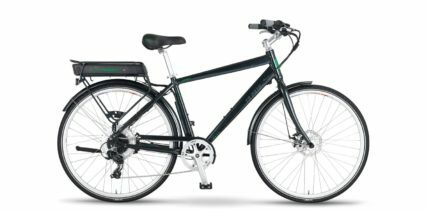 Very good question… both this and the City Commuter offer two sizes, two frame sizes and use the rear-heavy battery design. 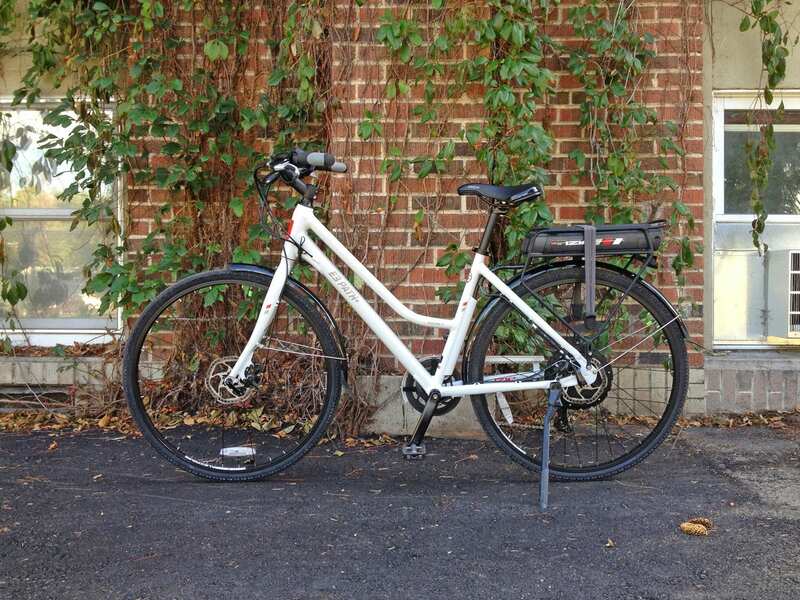 The City Commuter has lights which is nice but is a heavier bike overall… The balloon tires smooth the ride out but the pedal assist isn’t as smooth or responsive. 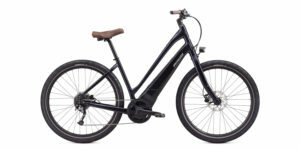 You get more battery, motor power and color options with the City Commuter but the ride isn’t as nimble as the Path+. 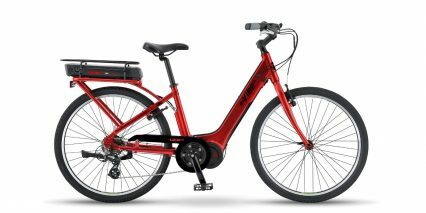 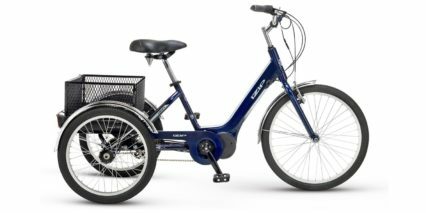 It might boil down to relaxed, powerful cruising (Pedego City Commuter) vs. active, efficient pedaling (IZIP E3 Path+). 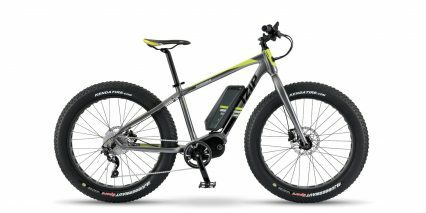 Both companies are reputable with solid warranties, finding a local dealer might be a deciding factor here. 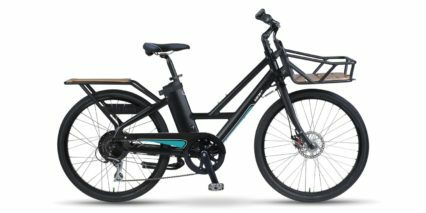 I would recommend both bikes. 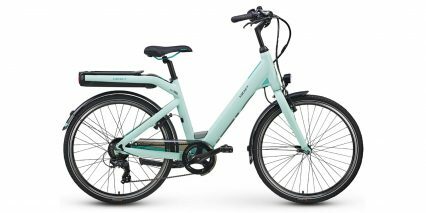 Hi Greg, glad she enjoyed it! 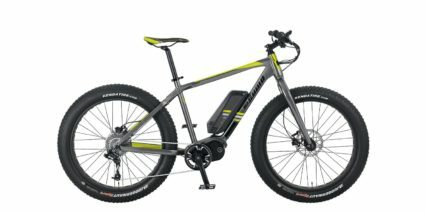 Yes, going for the 48 volt battery will add a lot of power and efficiency when carrying weight. 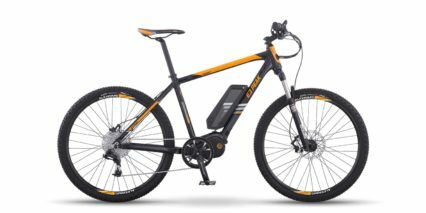 I weigh ~135 lbs and notice much more power and speed with the higher voltage but have to consider the price and added weight… for me it’s a preference on feel but for people who are transporting lots of stuff or weigh upwards of 180 then the 48 volt will just be more efficient overall because the motor won’t struggle. 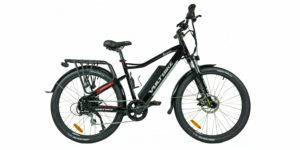 As far as the 15 amp hour version, that just means you have increased capacity and can go further. 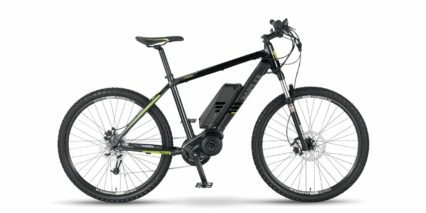 The battery you’re talking about is about as big as they come from any brand I know of (for low speed ebikes). 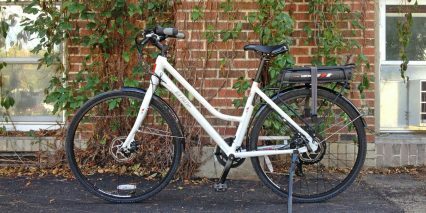 She would probably be fine with a 48 volt 10 amp hour pack for rides under 10 miles even with some hills. 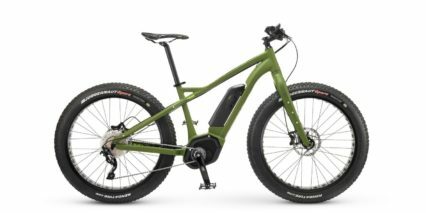 Totally in love with this bike. It’s super quiet and the gear-shifting and motor engagement and disengagement are all super smooth, with a gentler engagement and acceleration than the jumpier bikes I’d ridden before. 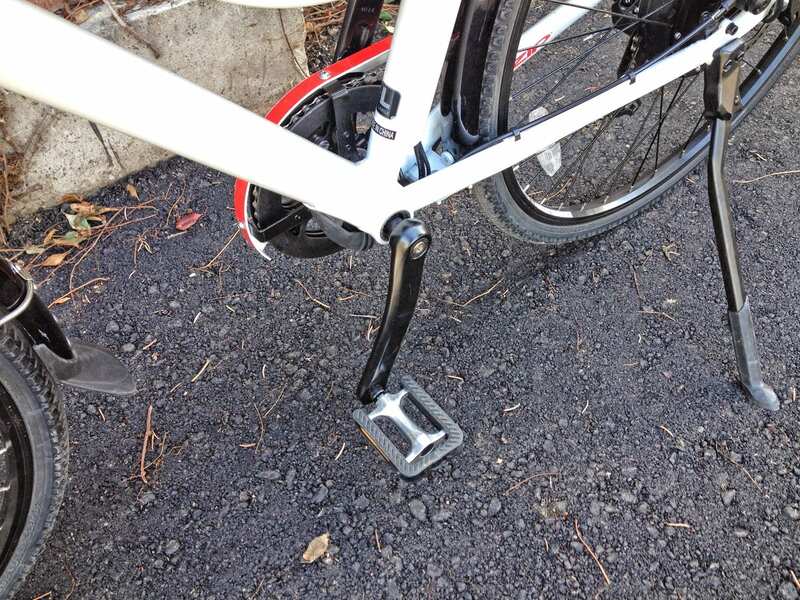 As Court said, the stiff suspension can make the ride on a bumpy surface a little too jolting, so I took his advice and put on a Suntour suspension seatpost, and that took care of it.